Social networking giant Facebook has announced that a separate application concerning its Messenger platform will be made available to those who are fond of using their desktop and laptop machines. Yes you heard us right the first time; Facebook will be launching its standalone messenger application for desktops and laptops (which can be accessed via web), after it officially announces it at the F8 event. 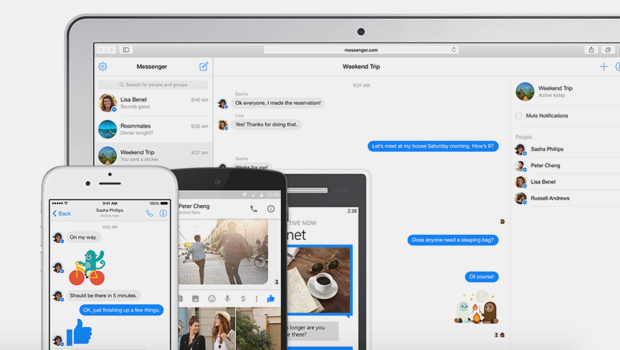 While April fool’s might be long gone, if you head over to www.messenger.com, you will be greeted with a standalone web version of Facebook Messenger. Before you ask, yes, it strongly resembles the mobile application that you use on your smartphones. Remember the time when Facebook decided to isolate its official mobile application from the Messenger one? Just to be clear, if Facebook has decided to branch out its Messenger application to desktops and laptops, there is a high probability that the social networking giant is going to replicate the aforementioned act for users who frequent Facebook via their computers. While this will not be taking place immediately, it is possible that in the coming weeks, users will not be able to message their contacts through the traditional method and instead, will be redirected to the Messenger site, where they will have to login once more in order to leave a text for their friends. One of the reasons why Facebook could be launching a standalone Messenger service for desktops and laptops is because it will also provide smartphone users with an opportunity to access it. Since not all smartphones feature the same processing power, not to mention that Messenger is not the most popular messaging platform in existence due to a number of bugs and issues, the web application will allow users to take advantage of all of its features. The only question remains that how optimized will the Messenger service be once it has been officially launched? Whatever the case may be, we are hoping that it does not require us to have our smartphones connected to the internet constantly (WhatsApp developers, this lesson is for you) to maintain communication through the web.